Domestic Goddesses Wearing Aprons. 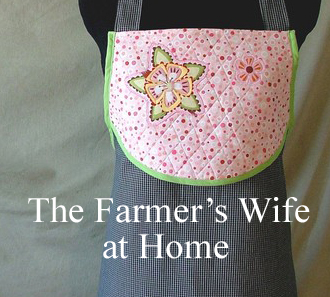 Win an Apron. Find an Apron. 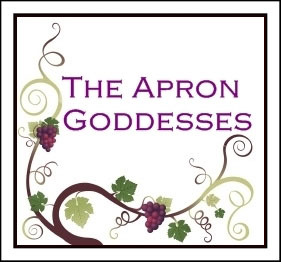 Join the Apron Addicts. Show off what you've got! 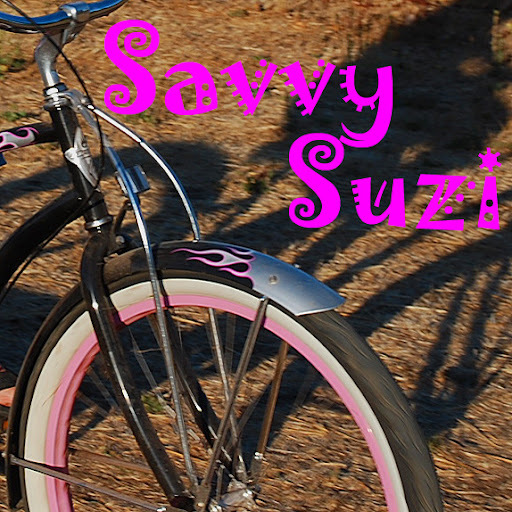 BUY HANDMADE IN THE USA! Take a Look at Our Sponsors! Here are the specifics: They both have three pockets. The Halloween one is a Split Personality with two prints against an orange back, three pockets and orange ties. The Fall one is Leaf Quilt done in quilt a squares of a fall pattern and a gold solid against a rich burgundy background, three pockets and ties with a very pretty burgundy ribbon with an orange accent in it. And to make sure you understand...The winner gets both. Order a Halloween (must be under the Halloween section there are five right now) apron before October 27th and she Vixen guarantees delivery by the 29th at no extra cost AND if you mention Apron Goddesses in the notes of your order she will give you a 20% discount (to be refunded via paypal, as Etsy doesn't allow discounts on individual purchases) off your entire purchase. 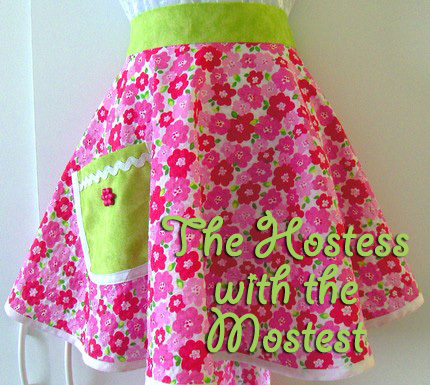 To enter the giveaway for this fabulous apron from Apron Frenzy, visit the boutique and choose your favorite item. 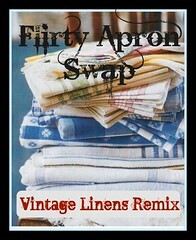 Come back to The Apron Goddesses and make a comment naming which apron or other item you like best. That will give you one entry into the giveaway. 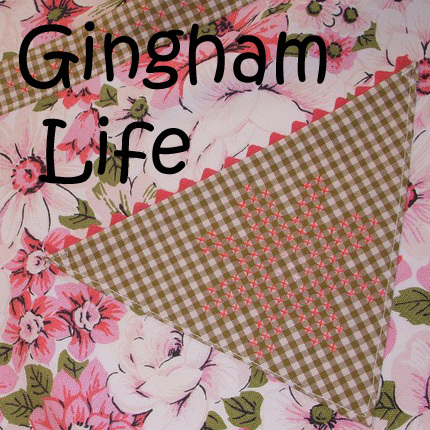 For five extra entries into the drawing create a blog post about this giveaway, leaving your permalink in your comment. 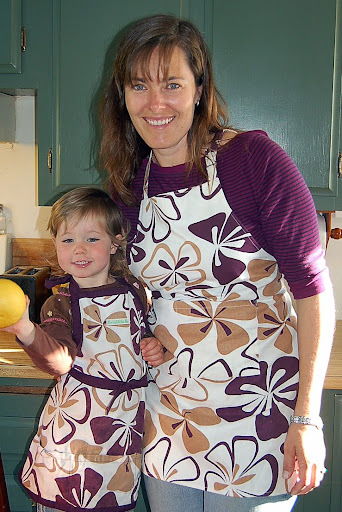 And for 10 extra, bonus chances at winning send in a picture of you or a family member wearing an apron. (Contact is above) No headless apron wearers please!! I will write up your "apron-ography" in the weeks to come. 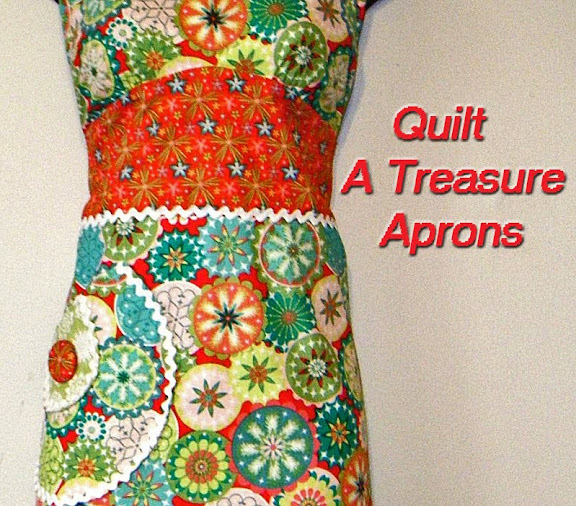 I love the "Autumn Approaches Half Apron". What a lovely apron for Thanksgiving Day. I love Pirates of the Tangerine!!! Great giveaway. 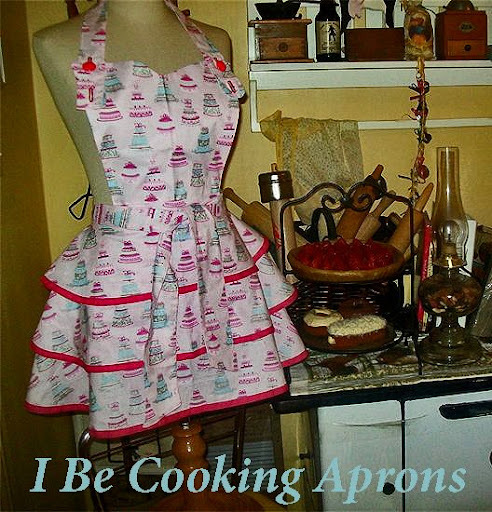 Cute aprons! I love the Cornucopia Full Apron. It is so bright and colorful. Thanks for having such a great giveaway. 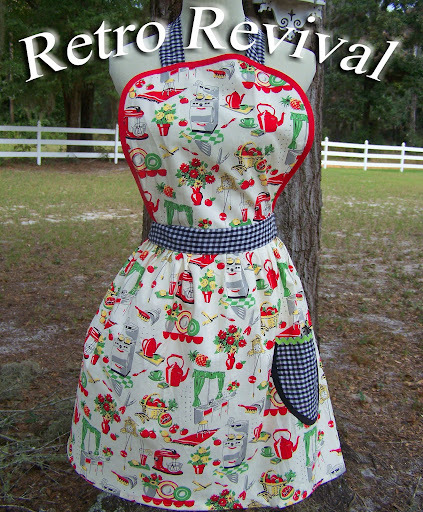 What fun aprons! 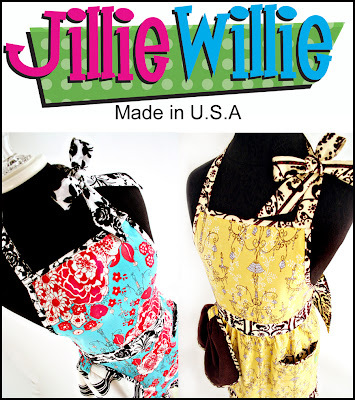 I'm wearing one that I just made for myself - I dig aprons in a far way! I love Pirates of the Tangerine!! How fun!! Here's hoping I win! Thanks for doing the giveaway Apron Frenzy!! 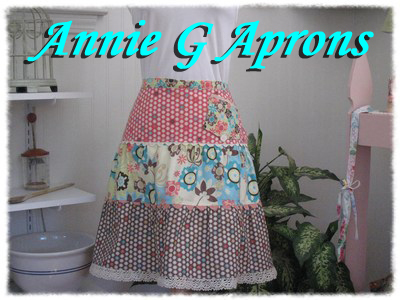 I'm a messy cook so prefer full aprons and Apron Frenzy's Cornucopia Full Apron is my favorite. Just so happens that I made myself fall napkins out of that same fabric, so it would be absolutely perfect! I need a full apron the way I cook lol The Cornucopia Full Apron would be perfect for Thanksgiving. Darling! I love the material! Love the Pumpkins Turkeys Acorns Half Apron. I have a soft spot for aprons. 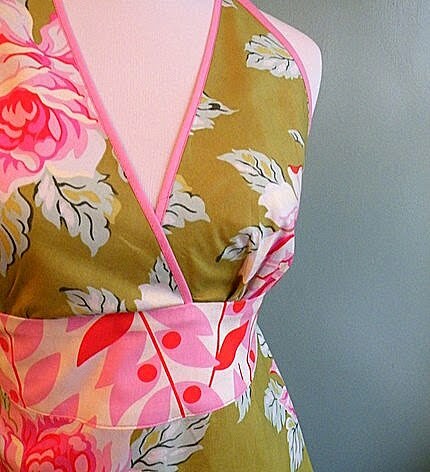 I really like the Turning Leaf Full Apron. I love Lemon Drops Halloween.Great gift idea for my wife. I'm in love with the Autumn Approaches apron. The waviness is just so feminine! I love the fall festive half apron! The aprons are all so fun though! 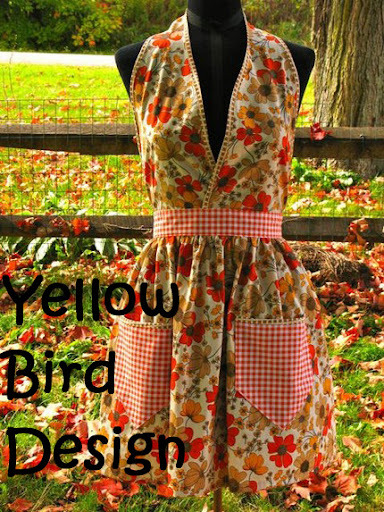 I love the Pumpkins Turkeys Acorns Half Apron, very cute, can wear now. Looks creative and well made. Alyzabeth's Mommy for One Year! I love the Lemondrop Halloween full apron. 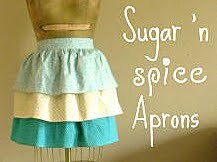 I have become an "Apron Addict"! Think I was born in the wrong era...LOL! 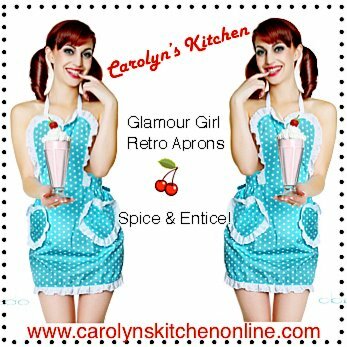 I love the Betty Apron - To Cute to Cook! Great colors and style. 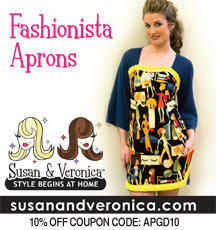 I am lovin' the "Autumnal Foliage Full Apron" - so fun and flirty!!! 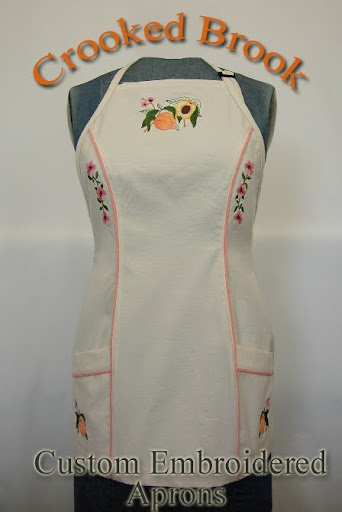 I like the Turning Leaf Full Apron http://www.etsy.com/view_listing.php?listing_id=33051388 the best! So cute! The Autumnal Foliage Full Apron is beautiful. I love all the aprons, but my most favorite is the "Fall Festive Half Apron." The 3 tiers are so cute, and the colors and fabric are gorgeous! I promo'd the giveaway on my blog too. Back to School Book Sale Click Image! Fabulous Movie for All Women to See! Lovely Apron: Lovely Apron Goddess!! Copyright. Julia King 2009. All Rights Reserved. Please do not republish material without permission.